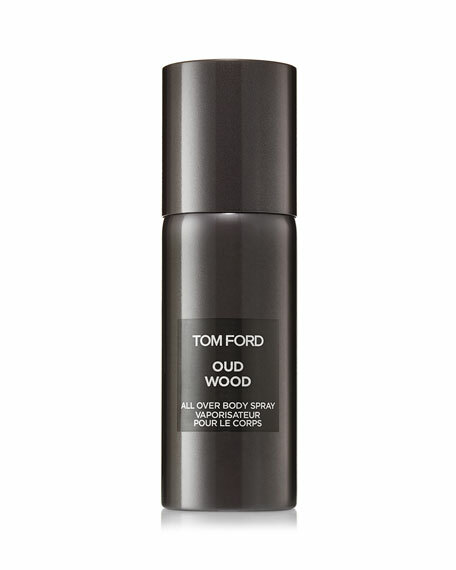 Invigorating All Over Body Spray is lightly scented with Oud Wood, adding a new dimension and refreshingly cool way to wear Tom Ford scent. Layer over your Oud Wood Eau de Parfum or wear it on its own. With specially designed 360 spray technology, All Over Body Spray can be ergonomically sprayed sideways, upside down and any which way on neck, arms, legs and torso. 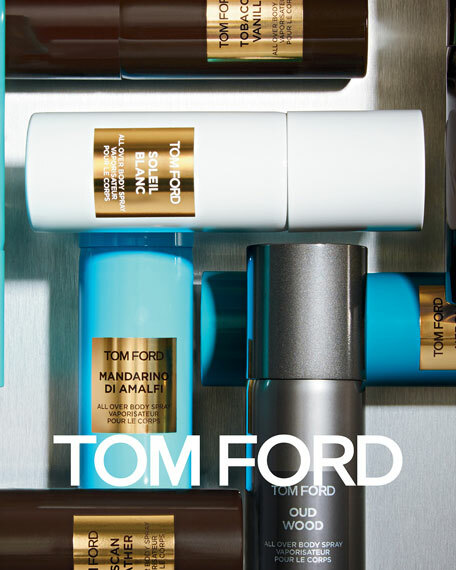 Formulated for a concentration perfect for all over the body. Oud Wood is Rare. Exotic. Distinctive. 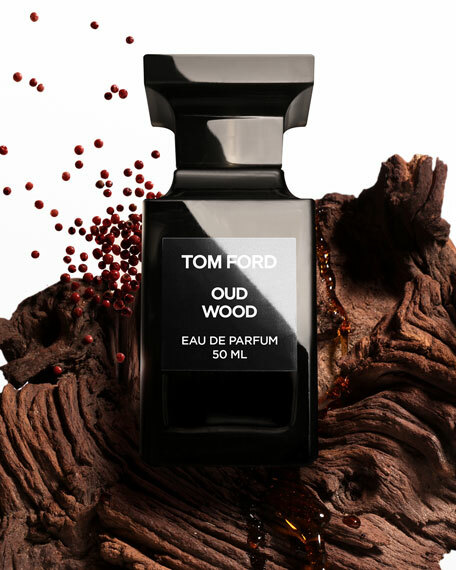 Oud Wood envelops you in rare oud, exotic spices and cardamom, and then exposes its rich and dark blend of sensuality. Spray all over the body, avoiding face and eyes.